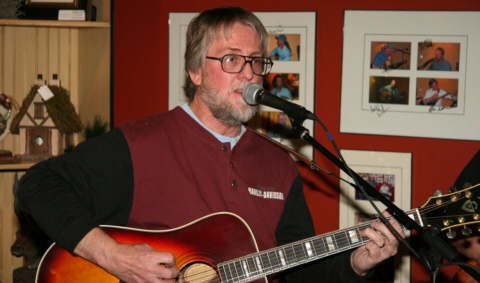 Dave is a Colorado native who has spent the better part of his life playing and teaching guitar in the Denver area. Beginning with the folk and rock band 'Wildwood Flower' in the late sixties, he has played professionally all over the Rocky Mountain region. He enjoys all styles of music, but bluegrass and jazz are his favorites. Not only a fine player, he writes original music for the trio. Dave and Tom's compositions have won awards in area contests.